The Indiana Hoosiers will take on the Rutgers Scarlet Knights on Sunday at Louis Brown Athletic Center. The Hoosiers are 7-2 against the spread in their last 9 games following an ATS loss and are 3-7 ATS in their last 10 games vs. a team with a losing straight up record. Indiana is 1-5 ATS in their last 6 games vs. a team with a winning % below .400 and are 0-4 ATS in their last 4 road games vs. a team with a losing home record. The over is 6-1 in the Hoosiers last 7 road games vs. a team with a losing home record and is 4-1 in their last 5 road games. The Scarlet Knights are 4-9 ATS in their last 13 games after scoring less than 50 points in their previous game and are 1-5 ATS in their last 6 games following an ATS loss. 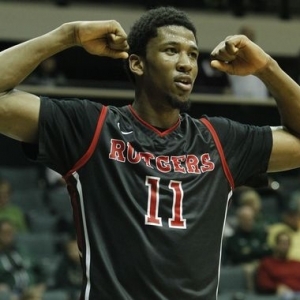 Rutgers is 1-6 ATS in their last 7 games vs. a team with a winning % above .600 and are 0-4 ATS in their last 4 games following a S.U. loss. The under is 5-1 in the Scarlet Knights last 6 home games vs. a team with a losing road record and is 4-1-1 in their last 6 overall.